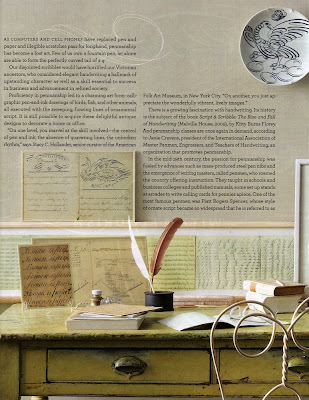 I was thumbing through my February issue of Martha Stewart Living and enjoyed her feature on calligraphy and some nice ways to display it. 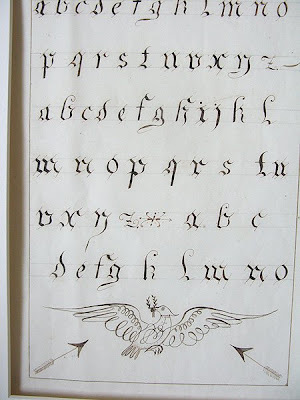 Sad that penmanship is slowly being replaced by the computer, but the good news is that penmanship classes are in demand again. 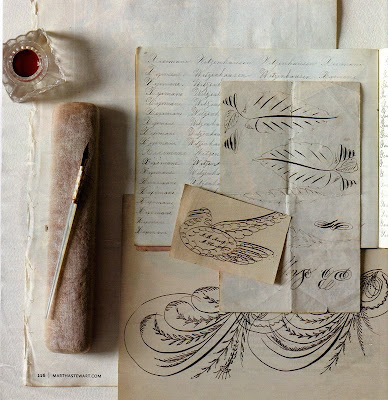 I've posted about calligraphy before, but thought I'd share some photos from "Living," as well as some recent calligraphy acquisitions on my website. 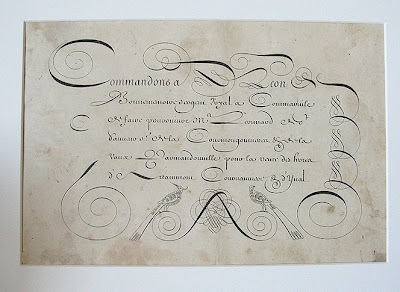 This 19th century hand calligraphy is from Paris Hotel Boutique. I love the detailed birds. 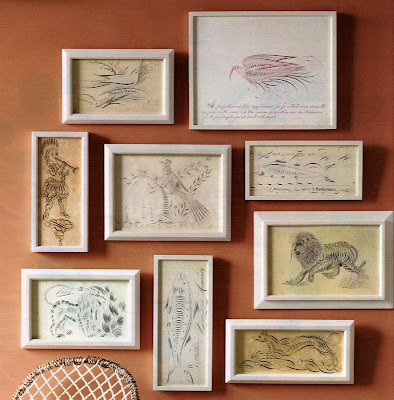 A grouping of antique calligraphic sketches can add a charming accent to a room...small works of art. 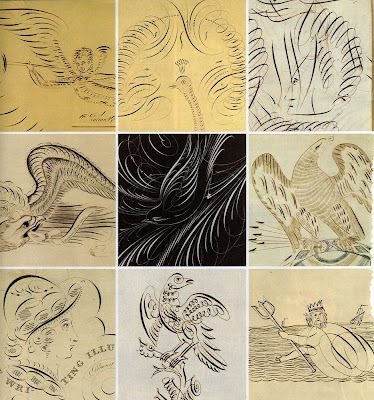 You can find antique calligraphy from $5 for a printed calling card, to thousands of dollars for a detailed mid-19th century animal signed by the penman. Purchase an inexpensive frame, and walla! You have a unique piece of art that is not mass-produced. I saw that article and loved it! I love calligraphy and would love to learn it someday. My youngest is learning cursive right now (3rd grade) and it's sad that he'll probably never really use it. I love old penmanship samplers! Hi Jackie, thanks for your comments. At least they are still teaching cursive in the schools. Perhaps it will be back "in vogue!" 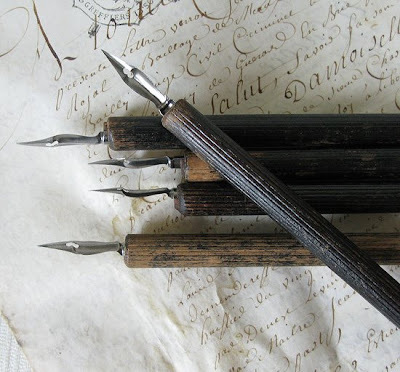 Fabulous post on calligraphy at it's height. The quills are very nice too, love those reeded staffs. Your shop and blog are wonderful. Hello! Any tips on where to locate these types of prints? Would love to replicate the gallery in my home! Megan, I actually have one matted French one for sale. Do you want to email me and I'll send a photo? Come to my Party & Giveaway!